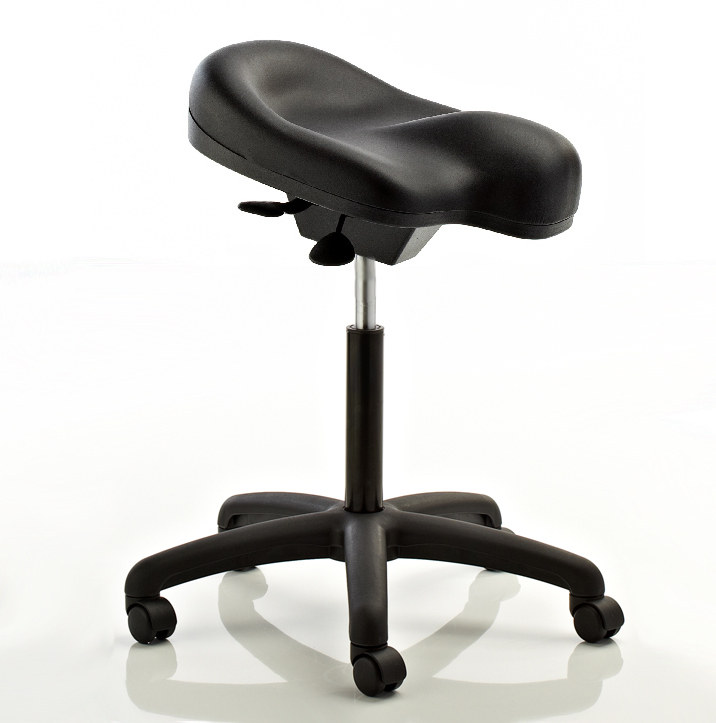 The Saiza, saddle seat therapy stool, with a saddle shaped design is a new and innovative seating concept designed to improve your posture. It helps to strengthen core and back muscles reducing the risk of back pain and poor posture. Proud to be at the cutting edge of ergonomic seating, Saiza presents a striking contemporary design borne from intelligent research into corrective posture. Unlike conventional seating, Saiza’s uniquely contoured and angled saddle shaped seat has been designed to encourage a forward tilt of the hips. This enables the body to sit in perfect natural balance and form a classic ‘S’ shaped spine, associated with good posture. 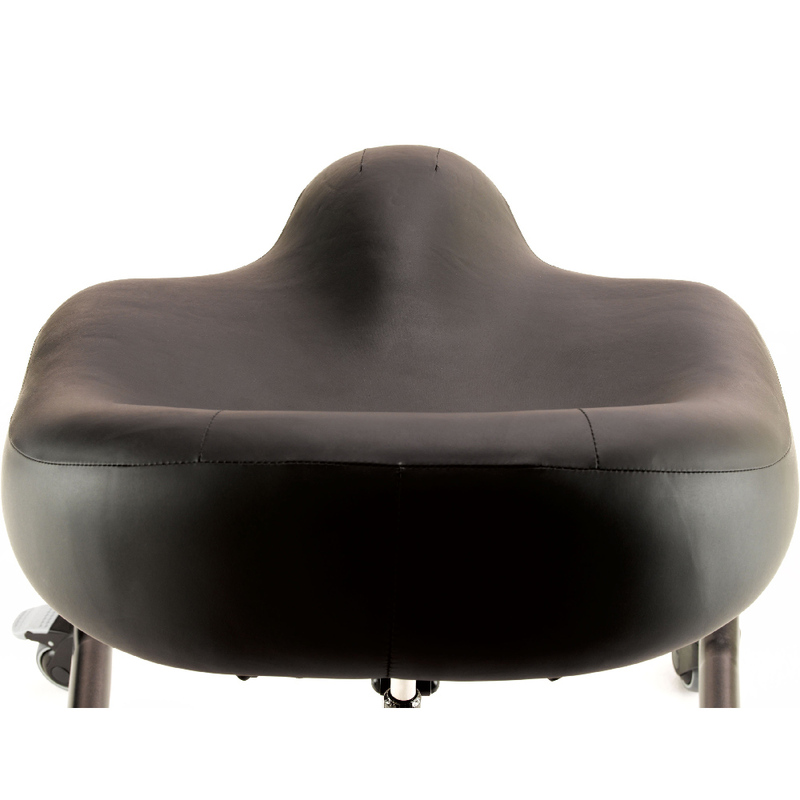 Saiza’s height and angle adjustable seat also encourages movement and prevents static loading. *Saiza comes in black with a black base and castors (picture below doesn’t show the castors).